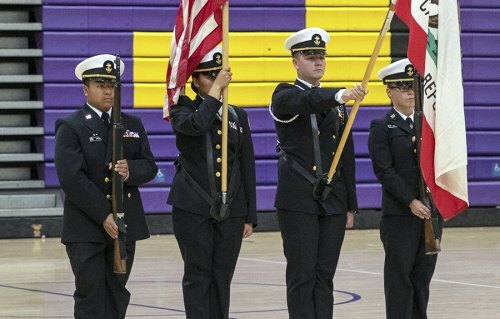 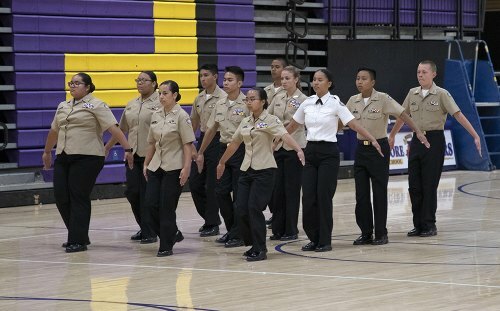 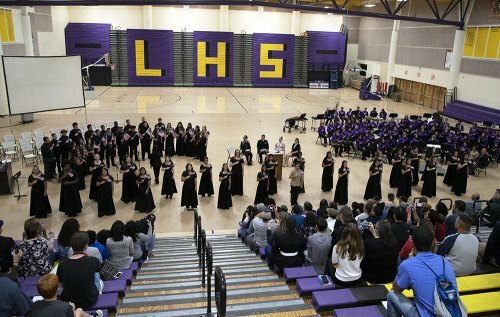 The Lemoore High School Naval Junior ROTC program, in conjunction with the school’s choral and band program performed Wednesday night in the school’s Event Center as part of its 28th Annual Patriotic Concert. 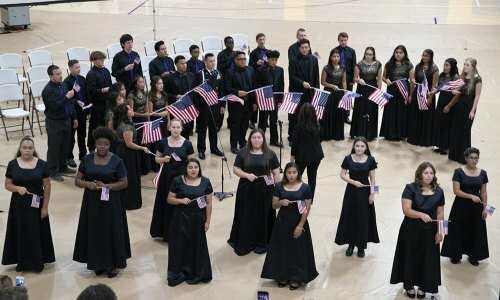 The event, titled “Valor” this year included a number of performances by the band, NJROTC special teams and of course the choral program, singing patriotic songs. 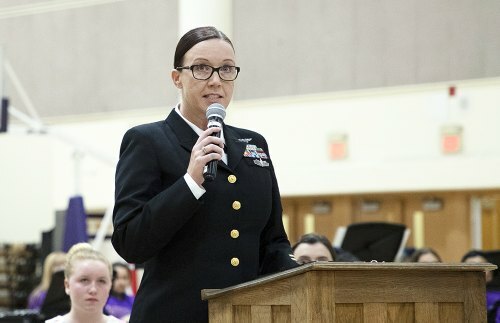 The event’s guest speaker was Senior Chief Beverly Ross from Naval Air Station Lemoore.